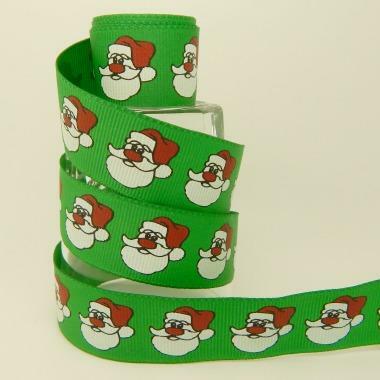 A fabulous green Christmas ribbon with Santa, available in a Grosgrain ribbon trim for 1" walking collars for all breeds. They have a side release buckle and nickel plated fittings. Choose the correct size from the dope down menu, however, if in any doubt please Contact us with your dog's actual neck size and we advise on the best size. As a guide, Postage and Packaging will be between £2.70 and £3.00 for one item, depending on weight. We do combine shipping costs for more than one item.